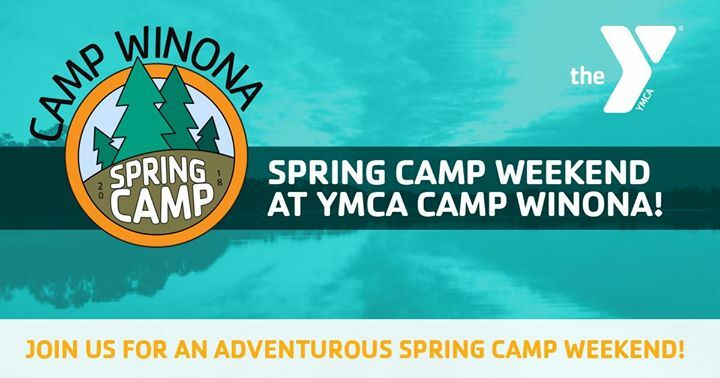 Spring Camp Weekend at YMCA Camp Winona! Come and experience an outdoor adventure! Activities include sailing, canoeing, and kayaking, fishing, campfires, songs, skits and plenty of colorful camp fun on land and water. This will be a weekend full of memories, friendships and a good helping of summer camp all in one weekend! You won’t want to miss it! Fun Camp Activities, 2 nights lodging, 6 meals plus snacks, campfires and more!